You are currently browsing the tag archive for the ‘Revival’ tag. Is Revival Of Our Nation Possible? The previous articles describe the difference between America in the 1940s and America today. The America that exists today simply could not do what it did 70 years ago. What’s missing today? The answer is God’s blessing. This is the answer that secular libertarians and unregenerate political conservatives don’t understand. Though America was not a godly nation in the 1940s when measured by the perfect standards of God’s Word, she was a nation that loved Israel, and she was a nation filled with churches that were much more faithful to God’s Word than they are today, and she was a nation of people that were much more God-fearing than they are today. The unchurched generally believed in God and feared Him and respected the Bible and respected churches and pastors, which was the salty influence of God’s people. Even Hollywood was bound by a moral code. The military chaplaincy program was robust and nearly universally respected. What was true in my mom’s Baptist church in Florida during the war, was true across the land. The church was open every day and every day people knelt before God and confessed their sins and begged His help. American’s victory in WWII was not a foregone conclusion. Had Hitler developed the atomic bomb first, he would doubtless have used it first on Russia and then on America, and it could have been America surrendering rather than the Axis Powers. America’s root problems are spiritual, and the only real solution is spiritual. The only thing that will help America out of her terrible plight is a true revival, and there could be revival. Though the time on God’s prophetic calendar is late, there is no reason to believe that genuine revivals can no longer occur. But revival in America or Canada or England or other lands with anything like a biblical heritage will happen only on the basis of 2 Chronicles 7:14. “If my people, which are called by my name, shall humble themselves, and pray, and seek my face, and turn from their wicked ways; then will I hear from heaven, and will forgive their sin, and will heal their land” (2 Chron. 7:14). This is a promise for Israel, but it has application to the church age. See Romans 15:4 and 1 Corinthians 10:11. Nothing like a revival and lasting change will happen through Moral Majority programs or Tea Parties or Chick Fill-A Days or Duck Dynasty support campaigns. As these have been tried repeatedly and enthusiastically over the past few decades, the moral depravity has only increased and the power of the forces for right and liberty has only decreased, because these are carnal weapons that only deal with symptoms and cannot affect the foundational spiritual issues. These are bandaids on cancer. They can win socio-political skirmishes but not spiritual wars. Keeping Duck Dynasty on the air is not a sign of moral victory at a fundamental level; it is a sign of the power of the almighty dollar. At the very same time that A&E was being pressured into keeping Duck Dynasty’s Phil Robertson on the air by an outpouring of support via social networking and “new media” sites, federal judges were ruling against biblical marriage in Utah and Ohio and the Supreme Court ruled against biblical marriage laws in New Mexico. Which of these events will have the most far-reaching and lasting consequences? The heart of the tree is being eaten away even as the watchers are rejoicing at keeping a few leaves alive. Revival could happen if individual Christians and individual churches repent before God at a deep level, repent of their adulterous love for this God-hating world, repent of their lukewarmness, and beseech His help. If even 100 Bible-believing churches took 2 Chronicles 7:14 seriously, who knows what would happen? If they started a weekly prayer meeting specifically for revival, specifically to beseech God’s help for the nation, if they called for fasting and prayer, and if the members of those churches would spend time seeking God’s face in a persistent manner, who knows how far the forces of evil could be driven back? God has never needed a majority. Gideon’s brave and vigilant few are enough. The very fact that it is unlikely that even 100 Bible-believing churches would call for such prayer meetings, and that the majority of the members would not attend such meetings even if the pastors exhorted them to do so, is evidence that what I am saying is true about the root problem being the churches themselves. Even the best, for the most part, are lukewarm, settled down and comfortable in the world, not pilgrims but dwellers, mighty for pot luck and parties but weak for spiritual warfare. m’kayla has featured this amazing story on her blog. Please read the full story from her link or go to Inerrant Word. Full story and the other three parts on the below link. This I will post separately. Some are calling for a new American revolution, but I would observe that there is a great difference between the last half of the eighteenth century and the first half of the twenty-first. In the 18th century, there existed enough moral character among American citizens to bring about a great, far-reaching revolution based (among other things) on biblical principles, and in hindsight it is obvious that the American revolution was God’s will for that time. No such moral fiber exists today. In the eighteenth century children learned how to read from the King James Bible and from moralistic texts which urged such qualities as honesty, thrift, and industry. The citizens, whether truly Christian or not and whether godly or not, generally believed in an Almighty God, in divine creation, in moral absolutes, in heaven and hell. On the other hand, twenty-first century children learn to read in a context of atheistic evolution and moral relativity, in a public school system in which the Bible has been renounced. God’s people need to understand the times. America today is not “one nation under God” in any sense of the term and it cannot be brought back to God through politics or demonstrations or alternative media or tax revolts or stockpiling weapons. I received the following commentary by John Piper today in an email from a dear friend. I made my annual visit to a Sunday morning service in a “mainline Protestant church” a couple weeks ago. It is an eerie experience. Heart-wrenchingly eerie. A magnificent choir singing, “Lamb of God, who takes away the sins of he world, have mercy on us” (in Latin). Three women pastors on the platform and two men. Pews filled with well-to-do looking folks. The reason I say it was eerie is that much of this religious language means something totally different in their minds from what I mean by it. There is a keeping of the language and a demythologizing of the original meaning. On one of our earlier visits Noël recalls the pastor saying that when he was a child he used to read stories like the one about Jesus walking on the water as if they were literally true. This mainline Protestant Church is dead. It is spiritually dead because its leaders are people without faith. No one can be spirit-filled, spirit-led, Christian without the faith given to him or her at regeneration. This faith believes God and when the Word of God is read, it is believed because it is true. The markers of dead church are given to us by our Lord Jesus Christ in Revelation 3:1-6. In Matthew 5:48 our Lord Jesus said, “You therefore must be perfect, as your heavenly Father is perfect.” He stated in Revelation 3:1-6 to the church in Sardis, “You have the reputation of being alive, but you are dead…” Why was it dead? It had become contaminated by the world just like the church John Piper visited above. It had taken on the world’s values and integrated them into how church was done there. It had disintegrated and was now dead. What is more, they did not realize it. They continued going through the motions of worship and activity, but it was just like the dead religiosity of the Jews in Jesus’ day. In other words, the church as Sardis was very much like the liberal church today; i.e. Dead! The people in the church at Sardis were physically alive, but they were spiritually dead. Unbelievers were operating the church. Some may scoff at that and disbelieve that churches and whole denominations can be taken over by unbelievers, but this very thing is happening today. Dead men are in the pulpits. Dead men are in the pews. 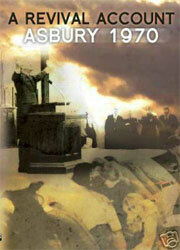 Dead men are running the church and dead men are in control of the denomination. Churches die when those who truly alive in Christ are replaced by dead people. What causes this? A church becomes dead when unbelievers are allowed to take over ministries in the church. It happens when a church becomes more concerned with form and liturgy than it is with life on a spiritual level. It also occurs when a church becomes more concerned with welfare and social ills than it is about the Gospel. Death occurs when a church loves its religiosity more than it loves Jesus Christ. It may very well love another Jesus and another gospel, but this is the same thing as elevating religiosity over the Lordship of Jesus Christ. Death occurs when a church’s focus is moved away from God’s Truth to Man’s so-called truth. Focus moves away from obedience of Gods’ commands and devotion to Him to material things or any temporal focus. A Church dies because of sin. Sin in any form that a church tolerates is the root cause of a church dying. It does not matter if the sin is tolerated in the leadership or in the members. This tolerance begins the cycle of death. This opens the door to tolerance of unbelievers in the church. Soon, no one cares who is a believer or an unbeliever. When the man who runs the church is not a believer, and this is inevitable once the cycle starts, then the end comes and the church dies spiritually. The cycle of death begins with tolerance of sin. These sins of commission and omission kill the church bit by bit. Over time, the professing Christians in the church become carnal. The carnal do tolerate unbelievers being part of the local body. This is followed by total tolerance for sin. As the church begins its death throes, God will draw out of it the people in it who really love the Lord Jesus. As they leave, unbelievers replace them. I hear from several believers every month who cannot find a local church in their area that has not become compromised like this. I left a church that was beginning the process of inviting unbelievers in. It was putting one foot in the world while trying to keep one foot in the Church. That was nearly 3 years ago and the pain from that separation is still with my wife and I. The church at Sardis was only going through the spiritual motions. It may have indeed had a name that it was alive, but God condemns every single religious activity that is not directed by the Holy Spirit. Unbelievers were not persecuting it. Why? The church at Sardis was just a religious form of the world and this is exactly what any church in our day is that is not controlled and directed by the Holy Spirit to serve the Lord Jesus Christ according to God’s will. We were discussing markers of a dead church earlier. We have actually been looking at this over the last few days. Dead churches and disingenuous believers hold to a man-friendly, man-centered, easy-believism from of the gospel. This non-gospel is cross-less, therefore, it also is Christ-less. The genuine Church holds to the genuine Gospel, which is cross-centered, and does not flinch from the reproach and shame of the Cross of Christ. The natural man hates the Gospel. It is hated by the world. Only the regenerate loves it, grasps it, and preaches it. This will bring persecution from the world. Never forget my brethren that God is in the business of preserving a remnant within that which is dead, “Yet you have still a few names in Sardis, people who have not soiled their garments, and they will walk with me in white, for they are worthy.” God always has His remnant. Even in this dead church at Sardis there were still some who were not contaminated by the world. These would be suffering mightily as they were spiritual, but surrounded by carnal and fleshly. They were devout and sincere amongst hypocrites. They were humble among the proud. They were separate from the world, but the rest in that church were of the world. These would be equivalent to those I regularly hear from who remain in their dead church because there is no where else to go. Never forget my brethren, a church is not a building, but a body of believers. The church at Sardis was speaking of every professing Christian in that city. These genuine believers were God’s remnant at Sardis. The emphasis on their garments not being soiled is speaking of their righteousness, which is spotless so it is God’s righteousness. These are genuine believers who are promised that they will receive a new “white” garment and will walk with Christ in glory. Our Lord gives five key commands to the church at Sardis. These commands are: wake up, strengthen, remember, keep it, and repent. These commands are given to all three different types of members of the church in Sardis. These three types of members are the dead (unbelievers), the sleeping or fleshly professing Christians, and the few who have not defiled their garments. The first command is “wake up!” (vv 2,3). This can also be translated as “be watchful” or “watch!”. The command is a warning that if they do not watch then He will come upon them as a thief in the night. This is obviously spoken to the unbelievers in the church at Sardis. The second command is “Strengthen!” This is a command to the genuine believers at Sardis to work to wake up the sleeping professing believers on the fringes. These fleshly Christians are spiritually blind. They are next to dead. This command is to those who see God’s light, reflect it to all, and hear His voice to preach repentance to those who are just hanging on. The third command is “remember!” This is spoken to the genuine believers at Sardis to remember their salvation. This is a command to continue growing in Grace in their daily walk devoted to Christ. This remembering is keeping the mind occupied with the person of Christ and the miracle and reality of their salvation. The fourth command is “keep it!” This can also be translated as “Hold Fast!” This is another command to the genuine believers at Sardis. They commanded to hold fast or keep to sound doctrine. This is vital. We are constantly under attacks that are designed to distract us with the things of this world away from God’s perfect doctrines of His truth. These distractions include false doctrines as well. The command to these Christians and to us in our time is to hang on and not let the world distract them from sound doctrine. The fifth and final command is “repent!” This is given to the unbelievers and the fleshly believers at Sardis. These need to repent. The unbelievers need to believe the Gospel and repent. The fleshly believers need to seek for God to grant them repentance as they turn from the flesh and its debilitating blindness to have their hard hearts smashed by the grace of God. Sardis was a dead church, but so are countless churches in our time who have become compromised. These five commands are for them as well. Examine yourselves by brethren. If you are in a doctrinally sound and spiritually alive church then rejoice and do not take that for granted. If you are in a dying church and there is nowhere else to go then ask the Lord for the grace to stand firm as His remnant where He has you. On the other hand, if you are dead then the command from our Lord is to believe and repent. If you are a professing Christian who is enslaved to your flesh then now is the time for you to come to the throne of grace for some serious confession and repentance. The True Workings of God and the Counterfeits of Satan. Counterfeit workings of evil spirits may accompany a true reception of the Fullness of the Holy Spirit, if the believer “lets go” his mind into “blankness,” and yields his body up passively to supernatural power. As a “blank mind” and “passive body” is contrary to the condition for use required by the Holy Spirit….The abstract result is great “manifestations” with little real fruit…a spirit of division from others, instead of unity. An influx of the Spirit of God into the human spirit, which liberates the spirit from the soul, (Hebrews 4:12) so as to become a pliable organ or channel for the outflow of the Spirit through the believer, manifested in witness to Christ and in aggressive prayer service against the powers of darkness….Its special mark and result is known in power to witness for Christ, and in conviction of sin in others, and their turning to God. There is but one reception of the Holy Spirit: with many succeeding experiences, developments, or new crises, resultant on fresh acts of faith, or apprehension of truth; various believers having varied degrees of the same filling of the Spirit, according to individual conditions. The enduement of power for service is often a definite experience in many lives. The counterfeit of the Presence of God is mainly felt upon the body, and by the physical senses, in conscious “fire,” “thrills,” etc. The counterfeit of the “Presence in the atmosphere is felt by the senses of the body, as “breath,” “wind,” etc., while the mind is passive or inactive. The person affected by this counterfeit “presence” will be moved almost automatically to actions he would not perform of his own will, and with all his faculties in operation. He may not even remember what he has done when under the “power” of this “presence,” just as a sleep-walker knows nothing of his actions when in that state…. “Consciousness” of “God” in bodily sensations, which feed the “flesh” and overpower the true spirit-sense. Felt in the spirit, and not by the physical senses. Passive yielding of spirit, soul and body to supernatural power, to be moved automatically, in passive, blind obedience, apart from the use of volition of mind. Evil spirits desire “control” of a man, and his passive submission to them. A “waiting” for the Spirit to come,” in hours of prayer, which brings those who “wait” into passivity, which at last reaches a point of “seance” conditions, followed by an influx of lying spirits in manifestations. The Spirit in restful co-operation with the Holy Spirit, waiting on God’s time to act, and a waiting for Him to fulfill His promises. The true waiting upon God can be co-existent with the keenest activity of mind and service. Evil spirits speaking, either puffing up, accusing, condemning or confusing the person, so that he is bewildered or distracted and cannot exercise his reason or judgment…. Through His Word, by His Spirit, in the spirit and conscience of the man, illuminating the mind to understand the will of the Lord. Satanic guidance by supernatural voices, visions, leadings, drawings, are all dependent upon the passivity of the mind and reason, and take place in the sense-realm as a counterfeit of the true in the spirit. “Fire” caused by evil spirits is generally a glow in the body, which the believer thinks is a manifestation of “God” in “possession” of the body, but afterwards results in darkness, dullness and weakness with no reasonable cause; or else it continues deceiving the believer into counterfeit experiences. It is a purifying through suffering or a consuming zeal in spirit, which deepens into white heat intensity to do will and work of God, which no trials or opposition can quench. Fire from God is spiritual not literal, and therefore falls upon the spirit, not the body. Trusting evil spirits comes about through trusting blindly some supernatural words, or revelations, supposed to be from God, which produces a forced “faith,” or faith beyond the believer’s true measure, the result being actions which lead into paths of trial never planned by God. “Eye has not seen, nor ear heard, nor have entered into the heart of man the things which God has prepared for those who love Him. But God has revealed them to us through His Spirit” (1Cor 2:9,10). The things of God cannot be seen with natural eyes, heard through natural ears or perceived through natural emotions because God is a Spirit and spiritual things can only be perceived by that which is spiritual. In the same way as a man born physically deaf cannot understand the glory of music and a person born blind cannot begin to partake of the visual beauty of God’s creation, so spiritual things cannot be perceived through the natural senses and emotions. The only way you can receive and be affected by a glorious piece of music is by hearing it. You cannot hear music with your tongue or nose and you cannot “experience” God with natural senses. Thus “the natural man does not receive the things of the Spirit of God, for they are foolishness to him; nor can he know them, because they are spiritually discerned” (1Cor 2:14). The natural man is the man who operates in the realm of the carnal, fleshly or soulish and in that realm, he will not encounter God. Thus the first requirement to meet with God is that man needs to move beyond the natural to the spiritual. This does not only require that he be born-again, but that he be willing to meet God on His terms. The man who is governed by fleshly and carnal desires will not be able to meet with God as his carnality will blind him to spiritual matters. Thus the church of Laodicea was pronounced “blind” because of their worldliness (Rev 3:17); the brother filled with hatred is in darkness (1John 2:11) and the person who is not diligently pursuing Christlikeness is shortsighted and blind (2Pet 1:5-9). There have been many very wise, sensitive and perceptive people on this earth who never met God simply because they could not or would not go beyond their human faculties. As much as God cannot be “seen” by the natural man so He can also not be revealed by natural means. You can put on the most magnificent audio and visual display, throw in some smells, vibrate the building so you can feel the motion and then dish out some snacks to taste and thus assault every one of the five natural senses but none of this can, or will, give you an “experience” of God. This is true simply because God is a Spirit and spirit cannot be heard, seen, smelt, touched or tasted. The millions of dollars that churches spend on appealing to the natural senses can not and never will give people an experience of God. 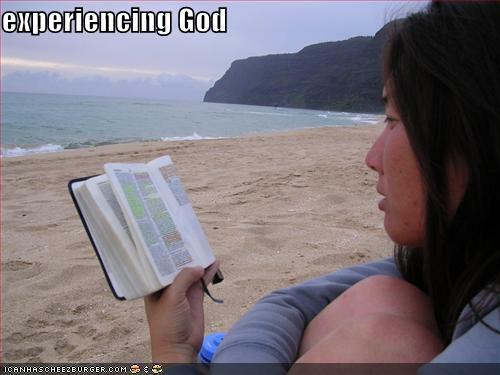 People have experiences all right, but it is not God! In the context of the first two chapters of Corinthians, Paul also includes excellent oratory, human wisdom and miracles as some of the things that are not able to cross-over from that which is natural to that which is spiritual. On the other hand there are many that are propagating many mystical ways of accessing God. These include chants, meditation, mantras, labyrinths etc. Most of these methods have existed in the church for a long time but are also very much part of Eastern religions. These are simply different ways of stirring the soul within man and also do not go beyond the natural, except in those cases where demons hijack the process. How then do I get to meet with God?. First we have to understand that we cannot meet Him through natural means. Then we need to realize that we cannot work ourselves into a spiritual state or earn the right to meet with Him. We have access into His presence through a new and living way. That’s right – no more sacrifices, chants, endless singing, ear-splitting decibels or trying to earn the right. We have access through three things: His shed Blood, His broken Body and His high priestly ministry (Heb 10:19-21). It has all been done for us. Don’t let people deceive you by promises that they will allow you to experience God, usher you into His presence, bring the glory of God down etc etc. We have access. It has all been done by Jesus. If we are born again, we have every right to enter directly into the holiest of all. It is complete and anything added to this will simply drag you back into the Old Testament Laws and rituals. Why then do so many promote those things? Because it makes you dependant on them to “experience God” and that is how they make their money. We need none of those things. Jesus did it all at Calvary. The way is open. Anything else is smoke and mirrors and will lead you to experience something that is not God. So is there nothing we need to do? Yes, there is one thing. “He who comes to God must believe that He is, and that He is a rewarder of those who diligently seek Him” (Heb 11:6). That’s very easy, but also very difficult. Faith requires that I simply accept that I am able to draw near to His presence because of the complete work of the Cross. If we really believe that, then we will not need the manipulations of men or to work ourselves up to “feel” God. We will simply accept His promises that He will never leave nor forsake us (Heb 13:5). Those who truly believe, do not need a sign, feelings or some display to prove that He is with us. “We will believe His Word in spite the absence of physical evidence of His presence, and walk with Him. As Paul said: “in him we live, and move, and have our being“ (Acts 17:28). Those who need the experiences are not approaching God by faith and He rejects those who do not come by faith. He also rejects, as thieves and robbers, any who come by some other way, except through the door – Jesus.